It’s been a long journey, full of setbacks and diversions: a lack of suitable brewing spaces in Chorlton, the saga of the infected yeast, and pumps giving up the ghost at the worst possible time, to name but a few. However, we’ve had a lot of fun along the road, with fact finding trips to Leipzig and Goslar, many jolly evenings of ‘research’ at Port Street and Beermoth, and new team members coming on board. Chorlton Brewing Company now consists of Mike, aka He Who Makes Beer, Rowan (*waves* that’s me), responsible for sales, events and general shenanigans, plus Alexx, brewing intern extraordinaire, and our ever-capable delivery folk Darren and Simon. We are delighted to finally announce that you can now find our beer in various locations around Manchester (and one in Greater London). 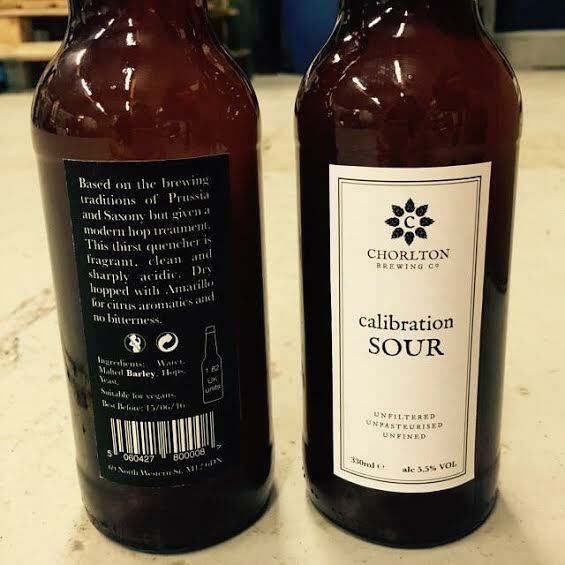 Here at Chorlton Brew Co we’re obsessed with brewing – and drinking, obviously – sour beer, and our first two beers are no exception. Calibration Sour (5.5%) is the first of our Sour Pale Ales, inspired by the brewing traditions of Prussia and Saxony but given a modern hop treatment. This thirst quencher is fragrant, clean and sharply acidic, and is dry hopped with Amarillo for citrus aromatics and no bitterness. Also presented for your enjoyment is Dark Matter, our 6.8% Imperial Black Gose. An almost extinct style of wheat beer from Leipzig in Germany, Gose is usually pale, sour, a bit salty, and fairly weak. This beer is really dark, sour, a bit salty, and pretty strong. So it’s an Imperial Black Gose. Go figure! 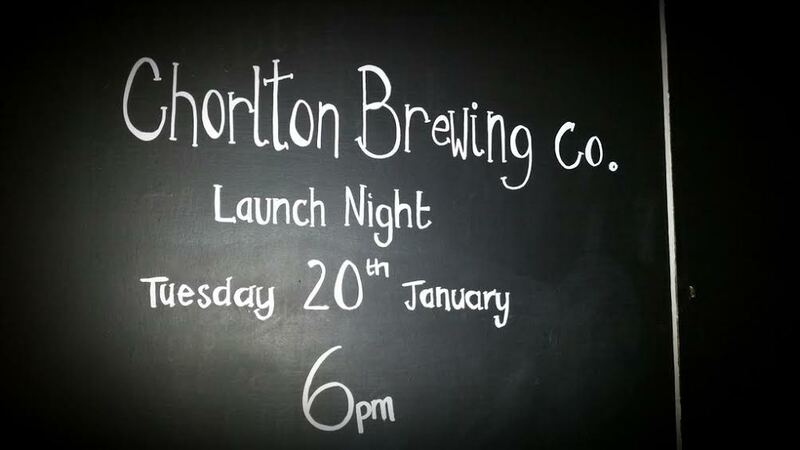 The good people at The Font, Chorlton have invited us to come and hang out on the evening of Tuesday 20th January (tomorrow). Kegs of Calibration Sour and Dark Matter will be pouring from 6pm, so if you’re around, please do pop in and say hi – we’d love to hear what you think of our beer! We are currently in stock at the following esteemed establishments, but keep an eye out for a forthcoming stockists list which will be updated frequently. Oh – and if you happen to be around Darlington on the 6 – 8th February and enjoy watching the rugby with a pint, DRFC Beer Festival have nabbed a keg of Calibration Sour.